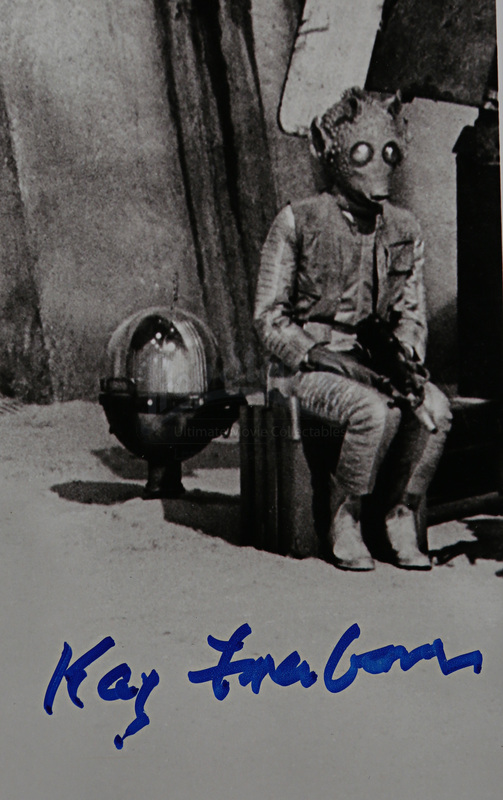 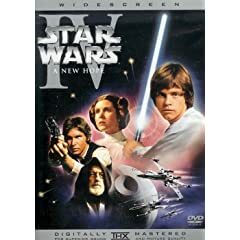 An autographed behind-the-scenes still from the first movie in the epic George Lucas saga, Star Wars - Episode IV: A New Hope. 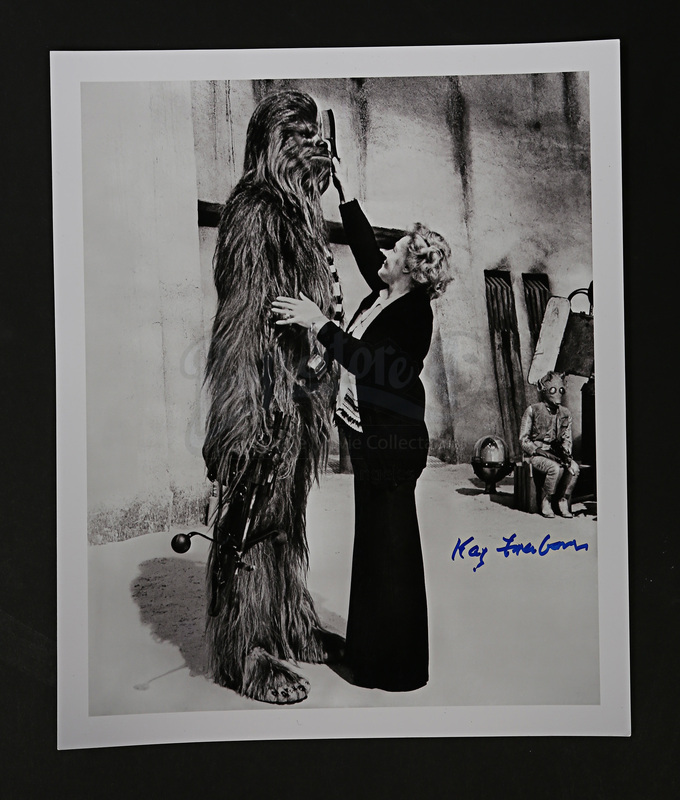 The 8” x 10” photograph shows make-up artist Kay Freeborn dressing Chewbacca (Peter Mayhew). 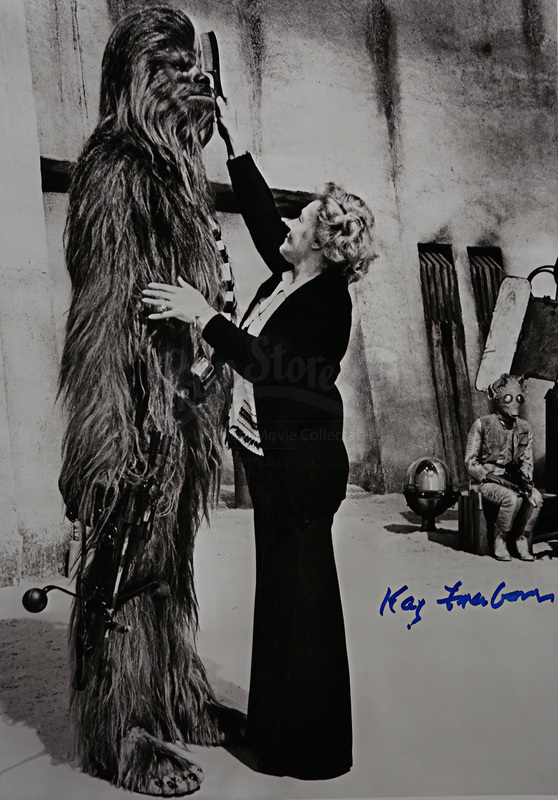 The photograph is autographed by Kay Freeborn in bluemarker. 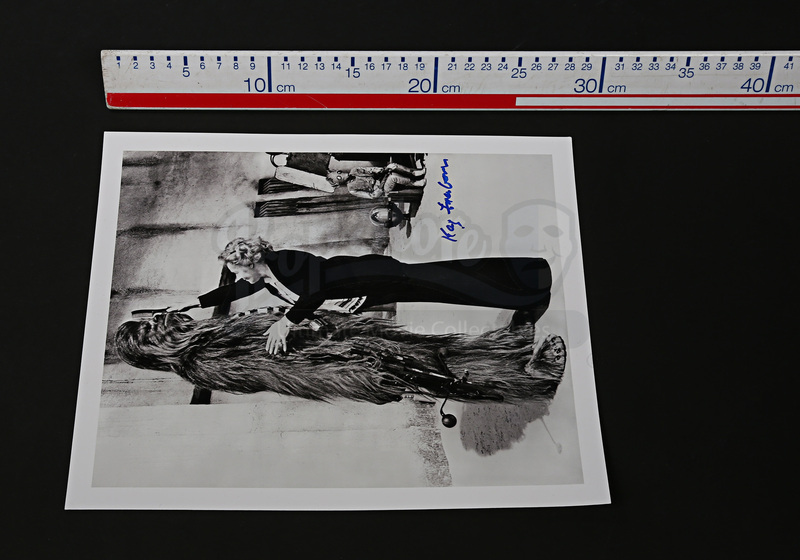 The photo remains in very good condition with only minor marks and wear at the corners.